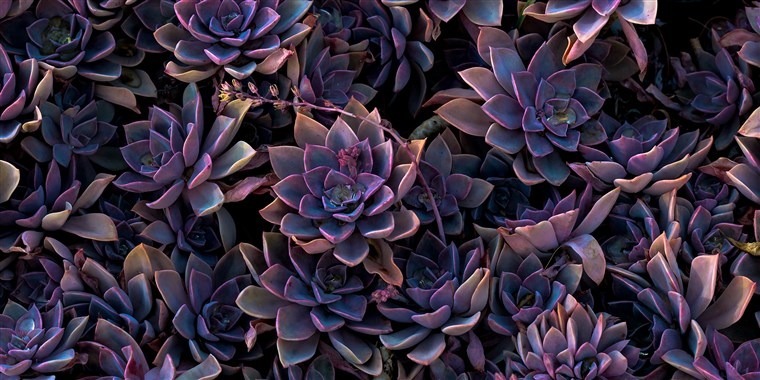 If you’re reading this article, it’s likely you need not be convinced that succulents are awesome. 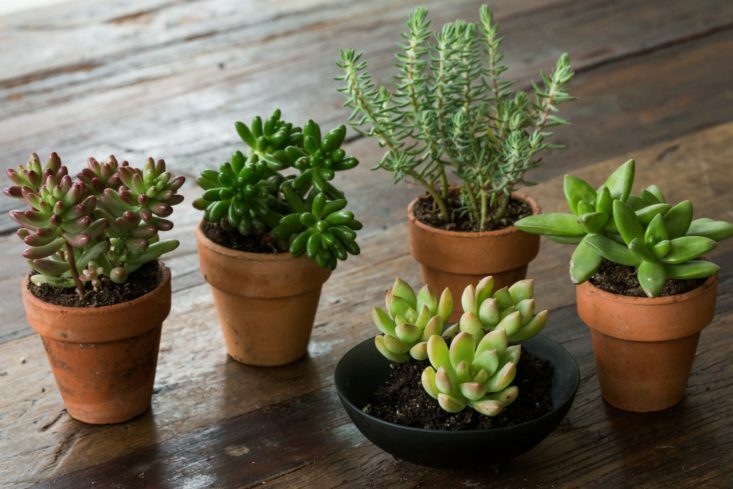 Whether you already went out and got yourself a succulent, or are thinking about it, it’s good to know what you can expect when it comes to caring for your new plant friends. The good news is – yes – they are quite low maintenance and will be happy when left to do their own thing. On your part, however, you just have to make sure you understand a few key points about what they need and how to care for them. Once you figure these out, you and your succulent will have a great time together. 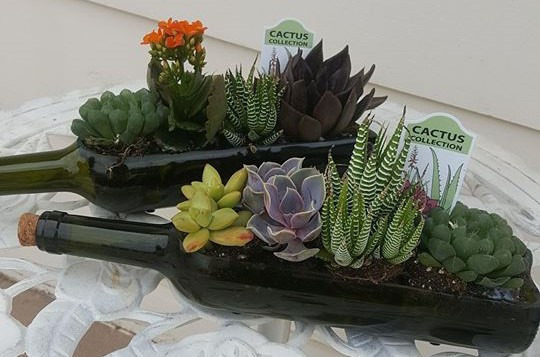 Succulents coming from nurseries or storage facilities for online orders are typically held in darker, colder, and more humid environments than they normally need. Because of this, the first thing to do is repot your succulent as soon as you get it and begin gently acclimatizing it to its new home. Repot – The soil they come in is adequate for commercial storage, but needs to be changed right away when transitioning into a home. It’s usually denser than what they need and can still be wet, so everything needs to go and be replaced. We get into location, temperature, sunlight, soil type and more later on, so stay tuned. Acclimatize – After repotting, the acclimatization is a slower process, but still very important. Your plant will be coming from a darker and colder storage environment. While it does need the extra heat, it needs to work its way up to it, otherwise your green friend will get sunburned and become mighty unhappy. Keep in mind also that succulents behave differently with season and can enter into a dormant state if their environment calls for it. Because of this, you need to let your succulents gently “wake up” from their storage slumber. Start with gradually increasing exposure to sun and heat, working your way up to what they need. At the same time, get in the groove of figuring out the watering schedule (foreshadowing: watering should not be frequent). Same as before, we’ll get into the specifics on heat, light, water and so on further in the article. Succulents are truly low maintenance, and will happily live an independent life in your apartment or backyard. So much so, that the number one killer of beloved succulents is actually caring too much for them. That being said, little maintenance doesn’t mean absolutely no maintenance. The trick is that they don’t need much attention, but they do have pretty specific needs. Once you understand the few things a succulent will need from you, there isn’t much more effort you need to put in. Some Background – Succulents come from arid, dry areas that experience rain only occasionally, usually in large amounts. Cacti are a type of succulent everyone knows and loves. 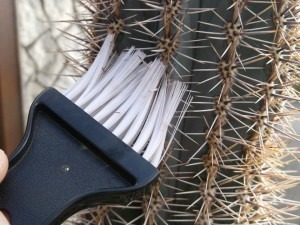 Given that cacti are part of the family, that should give you some indication as to their preferences. Interestingly, though, all cacti are succulents, but not all succulents are cacti. Because of their native environments, they developed heavily absorbant roots, along with fleshy bodies that retain large amounts of water very well. This all determines their preferences, so if you replicate their natural environment, your succulents will grow healthy and happy. 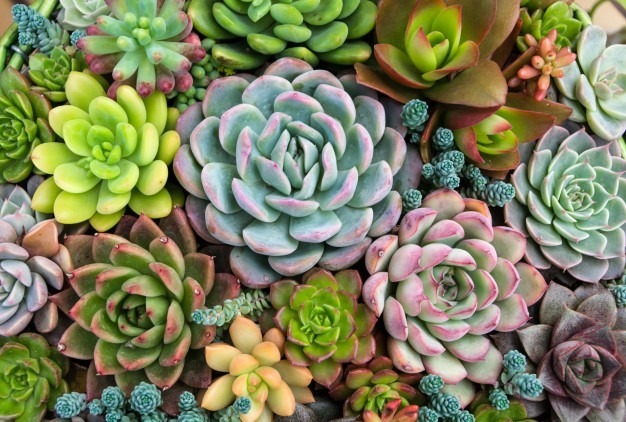 The Trick to Happy Succulents – The key requirement with succulents is that they get a whole bunch of water at once, and after that none at all. Their roots do a good job of taking in a lot of water at once, and their bodies do a great job of storing that water for extended periods of time. A sudden downpour, followed by an extended drought is fine weather for a succulent. Therefore, the trick is to water a whole bunch at once, and then allow a good chunk of time to pass before the next downpour (ie until the soil has dried and the plant has had a chance to fully process its water reserves). The soil, and location or container must also allow for the water to drain quickly and thoroughly. Stagnant or lingering water is terrible for their highly absorbant roots and will very quickly lead to mold. If you are ever unsure, always err on the side of watering too little and never risk watering too much. 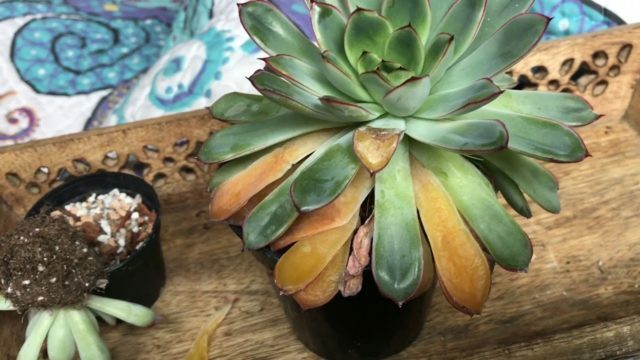 It’s way easier to treat a dehydrated succulent than it is to recover a moldy or over-hydrated succulent. Last but not least, and we will cover this in more detail below, never ever mist or spray. Always stick to pouring water right onto the soil. Seasonality and Dormancy – Succulents can have seasonal behaviours like many other kinds of plants. Growth can slow down or stop, leaves may change or even die and be shed off. In some cases, the plant may even retreat back to the root systems and hibernate underground. Seasonal behaviour is perfectly normal, so you have no need to worry. You especially shouldn’t panic and try to water or fertilize it more. That is a rookie mistake which will quickly make your succulent unhappy. Depending on the plant and your local climate, you might need to take succulents inside for the winter. 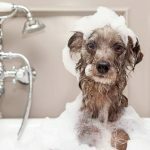 During periods of lower activity, they won’t need as much water and should not be fertilized at all. Once the plant goes through the seasonal cycle, it will resume periods of growth and will be back to the regular watering cycle. Keep Them Clean – It’s always a good idea to keep leaves clean and free from debris. Generally there isn’t much you need to do, but if you do notice excessive dirt or debris piling up on your plant, you should tend to it. Dust is especially an issue with indoor succulents. Depending on the size of the plant, you can gently remove it with a soft brush. Not keeping succulents clean (especially indoors) can be an invitation for bugs. Speaking of which, if you do get a bug infestation, always treat it right away. There is nothing worse than letting a bug problem grow and having to deal with it when it’s in full force. It easily becomes ten times more of a chore. 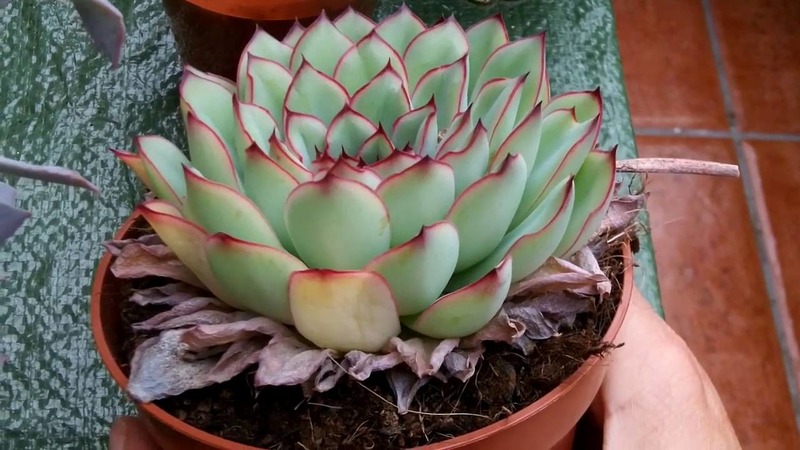 You Will Need to Experiment – The things you need to do to take care of a succulent will always stay the same, however, the specific amounts and frequencies will vary based on the plant as well as your local climate. When it comes to those specifics of how much sun, how frequently to water, and so on, you will need to do some experimenting. The good thing is your plant friend will always tell you how you’re doing. So if you follow the signs as you’re experimenting, you’ll find the perfect balance. As mentioned before, as you’re trying things out, always err on the side of under-watering, and never take a risk on accidentally watering too much. Last but not least, the environment indoors is different than the environment outdoors. Therefore, the same plant may have different sun and water schedules inside versus outside. Watering Schedule – The trick to getting the watering schedule just right, is that you need to water succulents a lot at once, and then let soil dry out over a period of time. The soil, container, and location should allow the water to drain quickly and fully after each watering. When watering, pour water directly on the soil and water generously. A good rule of thumb is to water until water comes out of the drainage holes of the pot. After watering, do not water again for a while. The rule here is to only water when the soil has had a chance to dry (which is why drainage after watering is so important). You can check with your fingers or with a skewer. In some cases, like using a glass bowl, you can check visually all the way to the bottom of the pot as well. Repeat the cycle when you feel like enough time has passed. It’s been said multiple times, but it’s good to keep in mind, that it’s easier to revive a dehydrated succulent than reviving an over-hydrated succulent, so always risk not watering enough if you must. Watering needs are also affected by location, sun exposure, type of container, indoor versus outdoor life, and so on. Indoor placement, restrictive containers, shade, lower airflow, and lower temperatures all make it harder for the soil to dry up – prolonging the time needed before the next watering. Outdoor placement, along with better drainage, sun, higher airflow, and higher temperatures all aid in drying up the soil – meaning you’ll need to water more frequently. As you’re establishing the watering schedule, you will need to listen to the signs the plant is giving you, and adjust the schedule accordingly. Let’s take a look at what those signs are. 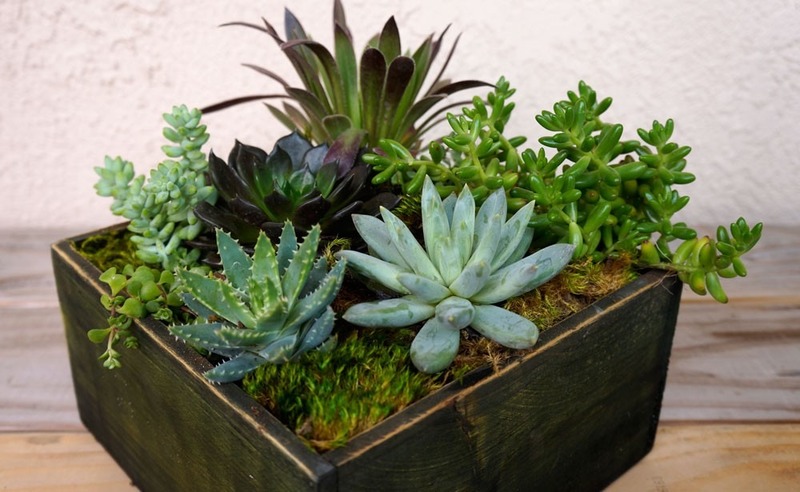 Signs of Over-Watering – Succulents are great at absorbing and retaining water. This means that when they get too much of it, they will end up bloated. Leaves will start to look mushy, soggy, or bloated. You should immediately adjust the watering schedule if you start seeing even slight signs of over watering. In severe cases, leaves will also start falling off when lightly touched or bumped. If it gets to this point, you definitely should change the watering schedule, but you may also need to take other measures to help heal your plant. At its worst, it can lead to mold or fungus. By this point, changing the watering schedule will not heal the plant. You will need to take other action to fix the fungus. Signs of Under-Watering – When not getting enough water, succulents will start to shrivel and bunch up to better retain what water they have. This is a sure sign that you need to increase the watering frequency. Luckily, they respond a lot better to living with not enough water than they do to living with too much water. In some cases when the plant is severely dehydrated, it might be tricky to bring them back. This is the only case where water therapy makes sense and can be applied. If this is where you’re at, see the water therapy section below. Do Not Mist or Spray – Whatever you do, never mist or spray your succulents. Misting is a technique to create humidity, which is great for plants that need the air moisture, but this is not at all what your spongy pals need. To make matters worse, water covering the leaves is an open invitation for mold and bugs. At the same time, very little of that water makes it deeper into the ground. This causes the roots to try harder to reach the little water that is coming in. They will thin and stretch out, which makes for an unhealthy root system. By now, it’s pretty clear that you need to go with soil that doesn’t retain water. This means that it needs to be loose, airy, and quick draining. The best options for that are sandy or rocky soil. Always avoid dense, compact, or clay-based soils. You can use Gritty Mix cactus soil and it should do the trick. Otherwise you can mix perlite with soil and crushed gravel. Quarter inch sized particles is usually a good density to go with. 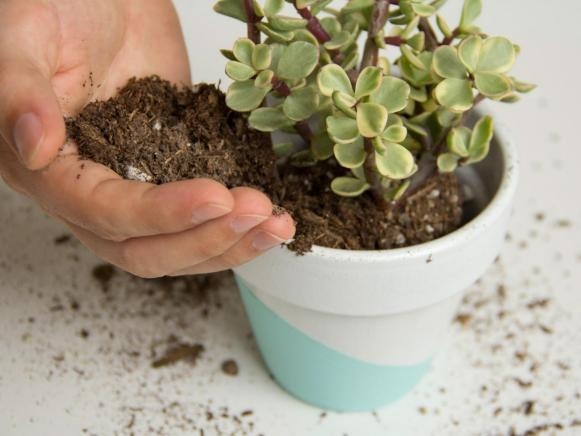 Remember, soil dries slower indoors and/or if the container is more restrictive, so it’s especially important to have well-draining soil in these cases. Sun Exposure – Succulents love sunshine and will be happy to bask in it. That being said, however, they still need breaks from the sun as well. Constant scorching sun can actually burn or dry up your plant. The rule of thumb here is to aim for 6 hours of direct sun per day. Beyond that, there should be indirect sunshine and periods of shade. While abundant sun is what they need, it’s important that they get it in a cycle that comes and goes. Keep in mind acclimatization when deciding on the amount of sun. 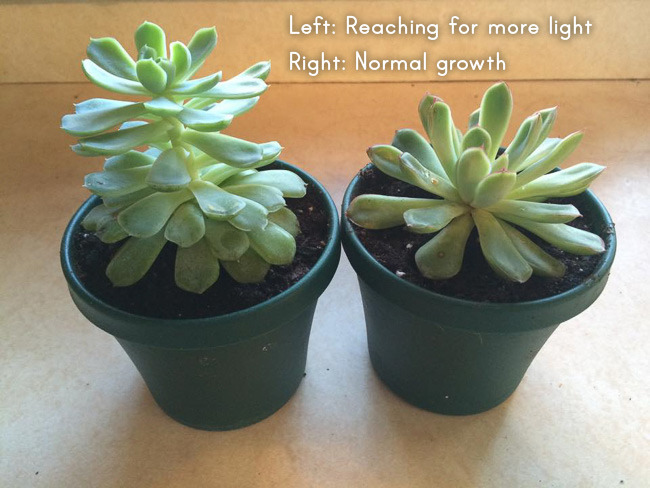 If you just got your succulent or are moving it from a darker spot, don’t expose it to a lot of sun all at once. Let it work its way up by gradually increasing light exposure. 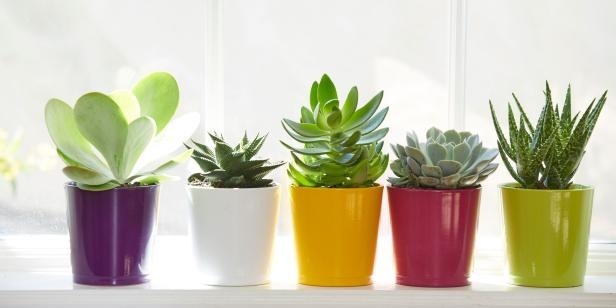 Same as with water, different succulents will also have varying preferences, so you should keep an eye on your plant to see how it is reacting to the amount of sun. Let’s see what those signs are. Signs of Too Much Sun – Too much sun can dry up the plant or even cause sunburn. Sunburn looks like white spots or black masses. Otherwise, if the plant is getting dehydrated, it will start to shrivel up. If you notice sunburn, move the plant right away and adjust the amount of sun exposure. Sunburn doesn’t heal, but the plant can continue to grow and thrive once it gets put in a better spot. Shrivelling could be either because of the sun or because of the watering schedule. Check first how many hours of direct sunlight the plant is getting. Then consider when you watered it last and adjust the watering schedule if needed. Once again, it’s better to make the mistake of watering too little than too much. 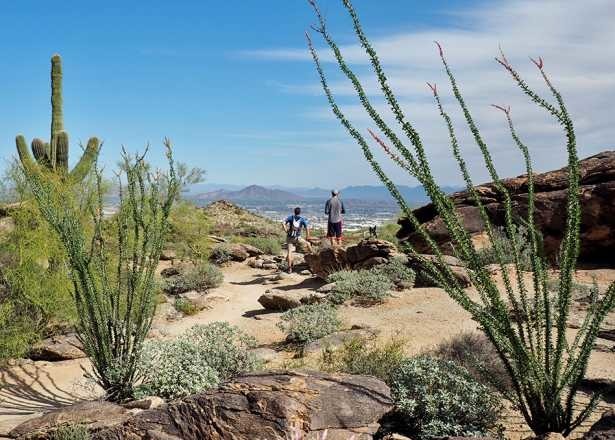 Signs of Not Enough Sun – If your desert dwelling buddy is not getting enough sun, the leaves will try to reach for more sun. This leads to thinning and stretching of the leaves (also called etiolation) as they attempt to get more exposure. If you see this happening, the answer is easy, make sure to get more sun. 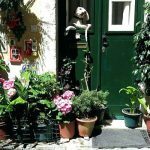 Containers – As we’ve been discussing before, the soil needs to drain quickly and not retain any water. This means that any containers you use should have drainage holes to facilitate that. Terracotta pots with drainage holes are your best bet. Interestingly, the size of the container will dictate how large your succulent will be allowed to grow. If you use a smaller container, it will stay within a size to fit that container. Outdoor succulents might still need a container, depending on where you live. If your area gets below freezing in the winter or above 100 ºF in the summer, you will need to dig up your outdoor succulents and bring them in. Using planters makes this very convenient. Planters are also great for fine tuning sun exposure as well as getting your backyard succulent decor just right. Some people ask about using terrariums or glass bowls. They are popular for cleanliness and decorative appeal, but they are a challenge when it comes to keeping succulents happy in them. There is a section on this further down, so if this is your mission, you can check below. Indoors vs Outdoors – The main difference between indoor versus outdoor care is in the temperature and airflow. Soil dries faster outdoors than it does indoors because of higher temperatures and more movement in the air. 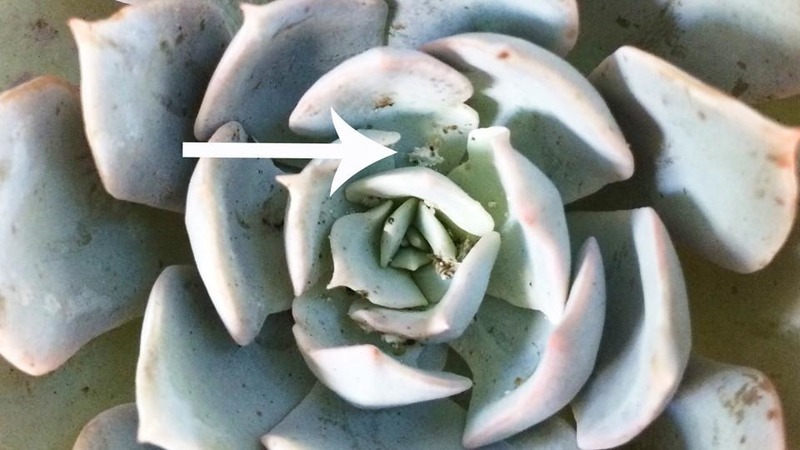 This means that waterings should be less frequent for indoor succulents. 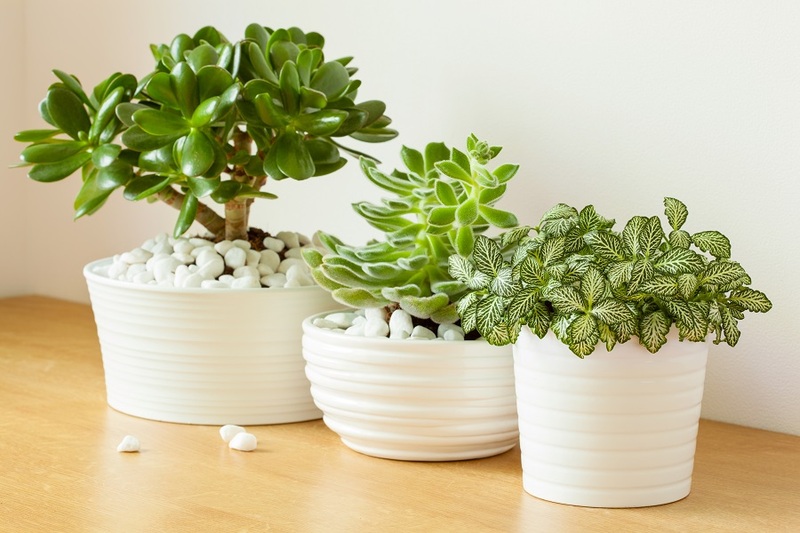 Indoor succulents come with a few extra things to care for, such as dusting or making sure they are away from any vents, heaters, electrical equipment, and so on. Sun exposure is also different when you are working with windows versus an open yard. Therefore, be sure to test and adjust the sun exposure accordingly as well. Succulents are great in that they don’t necessarily need fertilizer. If you do wish to fertilize, you can use a tiny diluted amount of generic fertilizer. Be cautious not to over-fertilize. That can do more damage than good. Also, be sure to not fertilize when your plant is going into dormancy (it’s not doing much growing during that time anyway). Temperature exposure works in a lot of ways like sun exposure. They enjoy hotter temperatures, but not if it’s scorching hot continuously. Make sure they get plenty of heat, however make sure it’s on a cycle where they can also get a break. As you keep an eye on things, you can also try different locations in the yard or in your house. 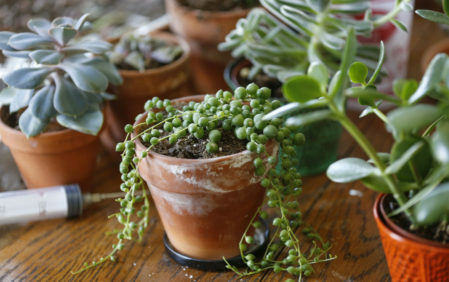 If temperatures exceed 100 ºF, or go below freezing, you should bring your succulents inside. This applies whether it’s just for a day or two, or if temperatures will be staying in that range for a whole season. Once again why planting your outdoor succulents in planters is a great idea. 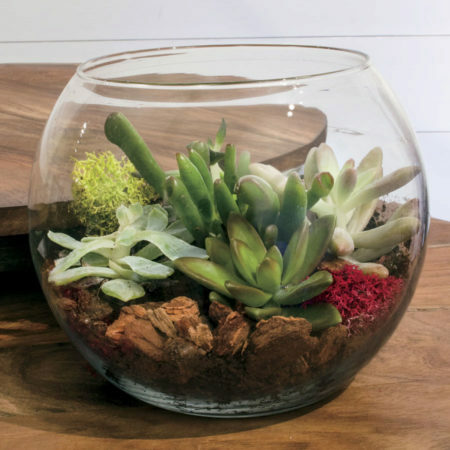 Terrariums and Glass Bowls – There is a lot of popularity (along with controversy) to terrariums and glass bowls. They are well praised for being amazing for decor, while also being super convenient and clean. The flipside, however, is that this is not by far an ideal setup for a succulent. In fact, it’s pretty terrible. Because of that, it’s quite a challenge to care for a succulent in this kind of scenario. That being said, it’s not impossible. According to Succulents and Sunshine, there are some strategies that can be used. We’ll be discussing them in this section. Please only take this route if you know what you’re doing and are planning on keeping up with the increased maintenance. It’s otherwise very easy to kill off a succulent in a glass container. 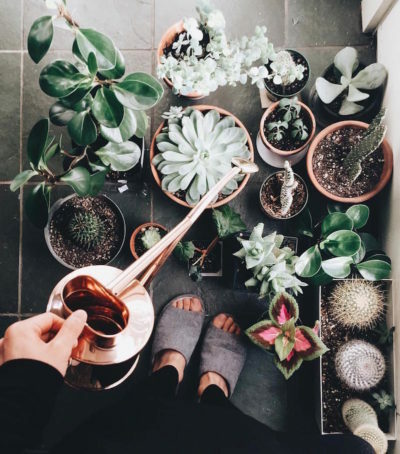 No Drainage – The plot twist is that glass bowls and terrariums have no drainage, which, as I’m sure you know by now, is a critical component to watering. Only water once the entire container is fully dry (all the way to the bottom). The upside with glass containers is that you can get an idea of what the water level is by looking at it. However, it’s recommended you always double check with a skewer. That would be it for the basics. In addition to this, there are a few more points to keep in mind. Other Considerations – Cleaning and dusting will be more of a requirement for terrariums. Bugs will also be more attracted to these types of containers. When getting the soil ready, do not allow large chunks to pile at the bottom, while having denser soil packed on top. This can happen by accident if you don’t watch the soil consistency, or some people may try to do this on purpose to create an “air pocket” at the bottom (in lieu of proper drainage). This is actually very bad for your plant because gravity will pull the water into the lower part of the bowl, after which it will get stuck there. The denser top layer will act as a covering through which the water will never be able to evaporate. This creates a constant source of moisture for the roots, which will be exactly what they don’t want. That being said, always be sure your soil is perfectly consistent as well as loose and airy throughout. Avoid forming any kind of “pocket” at the bottom. Arizona is an interesting case for succulent owners. When you think about it, it’s the perfect dry desert climate that succulents would love. You’d be surprised to find, however, that Arizona can be just a little too hot. Now, there’s no reason to panic, succulents do fine in Arizona, but you do have to mind the heat sometimes. A main priority is to make sure they are not over exposed to sun and heat. Make sure that they can get some breaks from the temperature and also get some shade. At the same time, though, this makes growing succulents indoors a lot easier. Indoor environments are more protected from the scorching sun and heat, which along with the drier air, makes it a pretty good combo. As mentioned earlier on in the article, it’s important to listen to your succulent. If you can understand what they are trying to tell you, then it’s easy to make adjustments to ensure ideal conditions. Whether you’re still figuring out the sun and water schedules, or if something comes up and you have to intervene, knowing what to look for is always the first step. In this section we’ll go over common issues with succulents, what they mean, and how to fix them. Mushy, Soggy, Bloated Leaves – Mushy, soggy, or bloated looking leaves are signs of too much watering. This may be coupled with leaves falling off when touched or bumped slightly. If this is the case, simply reduce the frequency of watering. Aside from that, you can check the soil for density and drainage. You can also adjust the location. Sun, airflow, drainage, all affect how much water stays in the soil. Ideally, you want to water only once the soil is dry. Shrivelling – Shrivelling up is a sign of not getting enough water. Luckily, succulents have a great capacity to bounce back from lack of water. Simply increase the frequency of the watering schedule and that should do the trick. Shriveling can sometimes also be a sign of dead roots, usually from rotting due to moisture. Because of this, double check that it makes sense to add more water. If you just watered your plant and you notice shrivelling, it could be due to something else. 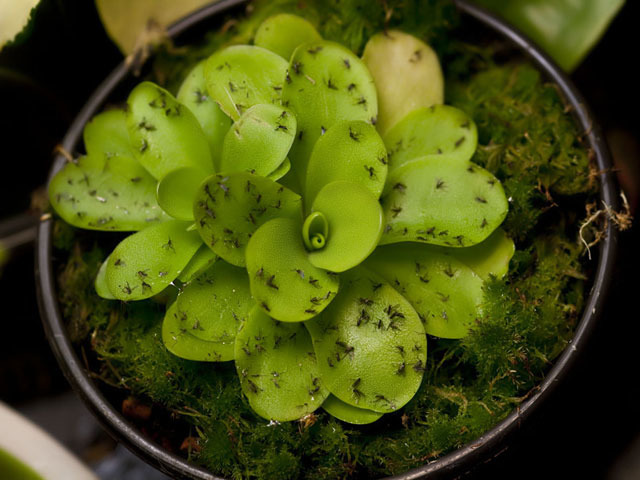 Bugs – The two nemeses of succulents are fruit flies and mealy bugs. There are many different things that can bring about pests. Among the biggest culprits are improper drainage, unclean containers, and/or excessive water. A good place to start with any bug infestation is by moving the infected plant away from your other plants. The last thing you want is for your bug problem to get worse. Next, clean out any dead leaves or debris from the base of the plant and also take a minute to check that the drainage is good. Once you’ve done that, you can tackle the bugs depending on what kind of infestation you have. We’re all familiar with fruit flies and how much of a hassle they can be. Luckily the fix is easy and you can just set up a vinegar trap. Pour a cup of vinegar with a bit of dish soap and place nearby. The fruit flies will find their way in there and meet their doom. Mealy bugs are different, but thankfully still manageable. They are tiny bugs that camp out on leaves and stems, covered in a thin white substance. They like to hang out and eat new layers of plant tissue as they grow. Needless to say, that’s not at all good for the plant and can lead to unhealthy, oddly shaped leaves and stems. 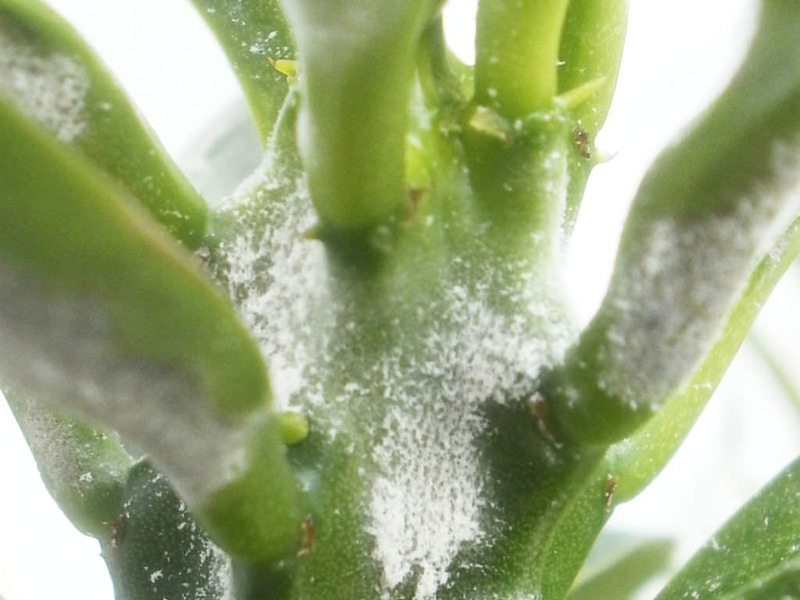 The trick to conquering mealy bugs is to take some alcohol, a brush and a spray bottle. Brush along all of the leaves with some alcohol and then spray the soil with alcohol using the spray bottle. Interestingly, the alcohol doesn’t do anything to the succulent, but it’s deadly for the bugs, so that works out quite great. Be sure to do a thorough job and get all of the mealy bugs you see. Take some time to do the base of the plant and around the harder to reach areas. 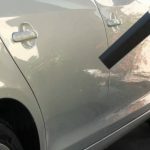 Usually, if you can do a thorough scrub, it should take care of the bugs completely. If it doesn’t, then repeat the process until they are gone. Don’t take your plant out of quarantine until you are sure the pests are gone. Dormancy – As we’ve mentioned throughout this guide, succulents have seasonal behaviours and can enter a state of dormancy. Growth may slow or stop altogether, along with changes to leaves or even leaves dying off. If you are noticing this as the seasons are changing, without any other possible source of concern, then you should have nothing to worry about. In this case especially, avoid jumping to conclusions and trying to over fertilize or over-water. Dead Leaves at the Bottom of the Plant – Leaves dying are a natural and normal part of any plant’s life. 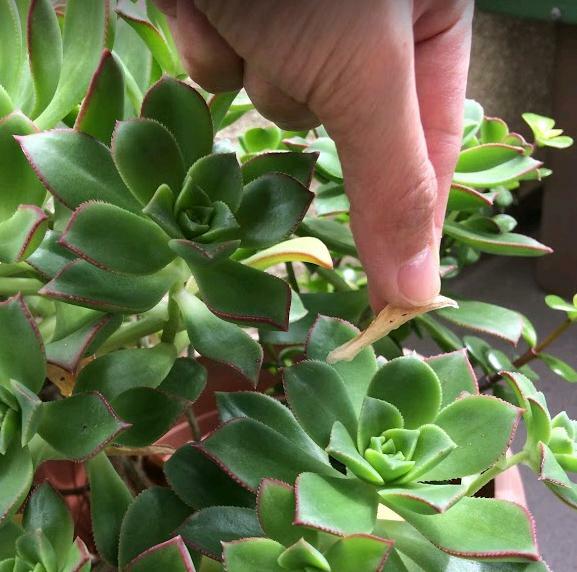 You can expect the leaves at the bottoms of succulents to eventually die off and be replaced by new growth. If you are seeing this, then everything is business as usual and there is nothing to worry about. This is only normal, however, if it’s happening at the base of the plant and nowhere else. 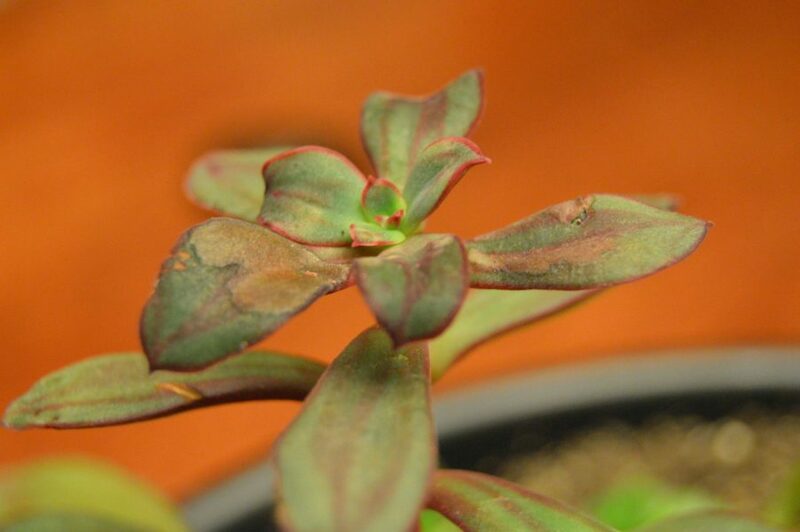 If there are dying leaves on other parts of the plant, then it can be a different issue. Sunburn – Sunburn appears in the form of white spots or black masses. If you are seeing sunburn, relocate your plant immediately to somewhere that gets less sun exposure. As mentioned in the sunlight section above, 6 hours of direct sun, followed by indirect light and shade, is the best combination to go for. Sunburn won’t heal, but once relocated, the plant can still thrive and grow without a problem. Color Loss, Leaning, Stretching – When not getting enough sun, a succulent’s leaves will try to reach more favourable exposure by leaning. They will also try to stretch out so that they have more surface area to capture light with. This, coupled with loss in colour, means your plant is not getting enough sunlight, so you should relocate it immediately. Mold or Rotting – Mold and rot are serious threats so you should act fast. They are usually caused by excessive amounts of water or moisture over a long period of time. This could also be caused by improper drainage. If you’re at this point, the best thing to do is save the healthy parts of the plant and try to propagate them. There is nothing that can be done to heal the mold on the existing plant. Water therapy is a procedure that should only be used in emergencies (more specifically, only the emergency of severe dehydration). It involves taking your succulent out of the pot and soaking the roots in water for a while before replanting it. This is an effective last resort if you are trying to revive a severely dehydrated succulent. When it looks like watering isn’t going to do the trick, you can try water therapy as a more aggressive measure. That being said, this is the only case in which you would need to perform water therapy. 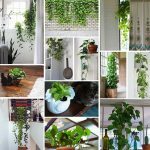 The topic seems to come up a lot as a remedy for a range of things, in some cases even as a means to give your succulent an “energy boost”. That is actually not the case and you shouldn’t use water therapy unless you are specifically trying to revive a plant that has been left without water for far, far too long. This also makes sense with the way succulents work, as a lot of times the solutions to succulent problems don’t involve providing more water. In fact, excessive watering is one of the main causes of unhealthy succulents. There you have it. 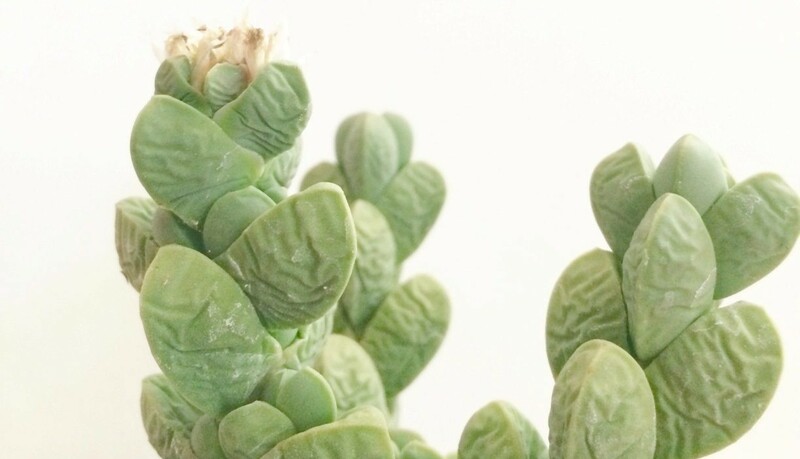 A complete guide to caring for your succulent friend, which hopefully by now has answered all or most of your questions. 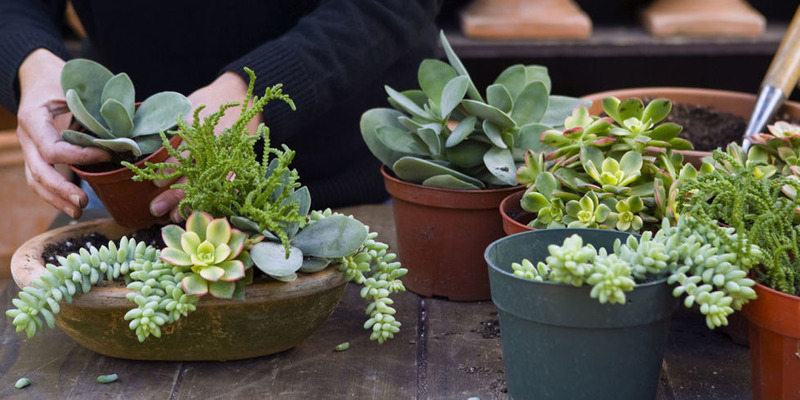 Whether you’re living in an apartment or a house with a yard, a warmer or cooler area, or even in Arizona, you’re bound to have a peaceful and rewarding time caring for your succulents. Who Are the Best Garden Companies in Orange County, California?